Do you need to make a 457 visa holder redundant? Ai Group Blog > Leadership > Compliance > What happens if you need to make a 457 visa holder redundant? Ai Group regularly fields enquiries from members who have employed overseas workers on 457 visas but subsequently experience unforeseen shortfalls in business activity. So what are the implications of redundancy in the case of 457 visa holders? Firstly, if the position is required elsewhere in a sponsor’s company structure, a 457 visa holder can work in an associated entity of the sponsor, as defined under section 50AAA of the Corporations Act, if the sponsoring business was a lawfully operating business in Australia at the time they were approved as a standard business sponsor. Under this arrangement, the sponsor retains ultimate responsibility for the 457 visa holder and the sponsorship obligations, even if they are working for an associated entity of the business. It is important to note that the 457 visa holder cannot be on-hired by the sponsor or associated entity to any other non-associated business. 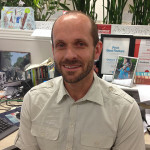 If redeployment is not an option, in relation to redundancy and also termination, the 457 visa holder should be treated in the same way that Australian citizens or permanent residents are under Australian workplace laws, specifically the Fair Work Act 2009, including the National Employment Standards (NES). Sponsors are not required by the department to help the 457 visa holder find alternative employment, although they can, of course, do so. The Fair Work Ombudsman has two factsheets on their website about the rights of foreign workers. There are sponsor obligations related to informing the Department of Immigration and Border Protection within 10 working days if the 457 visa holder’s employment ends, or is expected to end (the sponsor must tell the department if the end date changes). The same notification requirements apply if the visa holder decides to change his/her place of employment, or if he/she is terminated. There is also an obligation for the sponsor to pay the return travel costs for the sponsored 457 visa holder and sponsored family members to their country of intended travel, if they are going to leave Australia. The visa holder must ask the sponsor in writing to pay the costs, or the department can make a written request on their behalf. Travel costs must be paid within 30 days of receiving the request. The sponsor must also notify the department within 10 working days of paying this travel. What does this mean for the 457 visa holder? The 457 visa holder is responsible for looking after their own welfare arrangements during this time and for finding alternative employment. I’ve been made redundant and had been on a 457 for 3 years I had been nominated by the company but they have now been liquidated am I still able to continue my PR application? Or does that get cancelled? Are employers exempt from unfair dismissal under employing 457 visa? I am on 457 and is changing my employer . Can I work on 457 from previous employer (after termination ) till my application is under evaluation from new employer but within 90 days. Does the sponsor need to pay my salary, or the associated entity of the sponsor, who I am working for? I’m on a 457 and my employer is sending me back to another branch in my Home Country after 2 months, however I want to stay in Australia and is in a process of finding an employer. 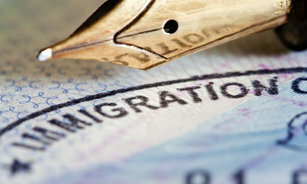 Let’s say that if I’m unable to find one in next two months and have to leave Australia, is there a way I can retain the Visa for another 90 days after leaving Australia so that I get additional 90 days to find another employer while staying in my Home Country or will my Visa automatically stands cancelled once my employer informs the department that I have ceased to be their employee and left Australia. I am leaving my 457 visa after over 2 years, I have been advised that my sponsored company should have paid for my travel costs here, and also have to pay my travel costs home – is this correct? It is good to know that the sponsor of the 457 visa is required to help pay for their employee to get back home. It makes the trip to Australia much less nerve wracking. However, I have a feeling that after working there for a while I would want to stay and find another employer to sponsor me.